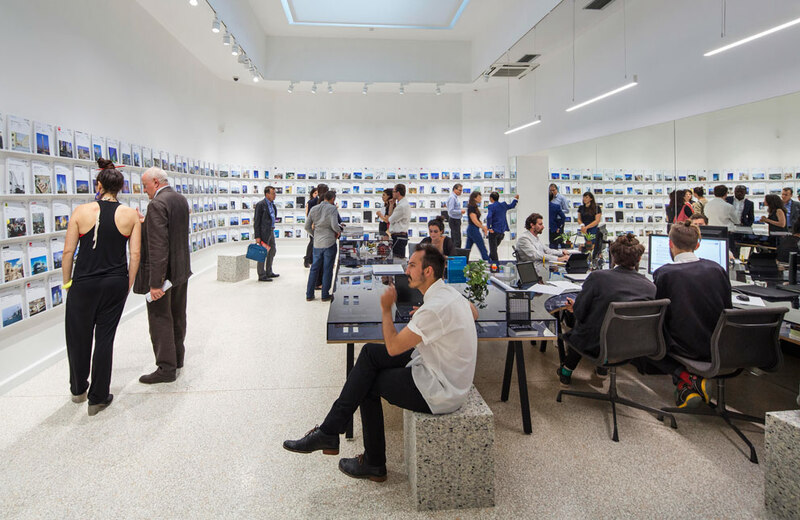 The US pavilion at the Architecture Biennale in Venice surprises visitors – with a somehow unfinished exhibition. 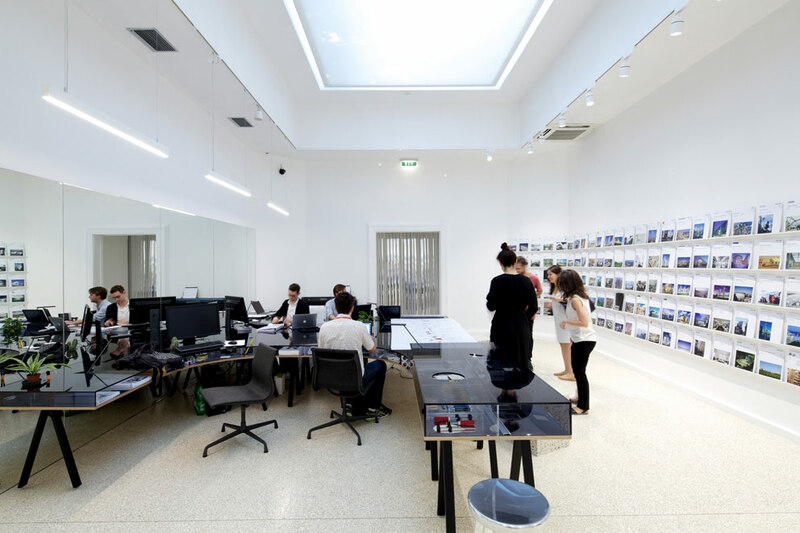 “OfficeUS”, curated by Storefront for Art and Architecture, is the moniker chosen for the modern office that has been set up in the historical building and doubles up as an art archive enabling on-site research. Under the heading of “Absorbing Modernity”, the Americans are exploring the history of their architecture exports the world over. 1,000 projects by 200 companies over the last 100 years are presented in files and assessed by eight so-called “principals”. The idea is for this to spawn a wealth of lectures and events in the course of the months, and culminate in a publication. Needless to say, the pavilion is meant to also be quite a display, too. 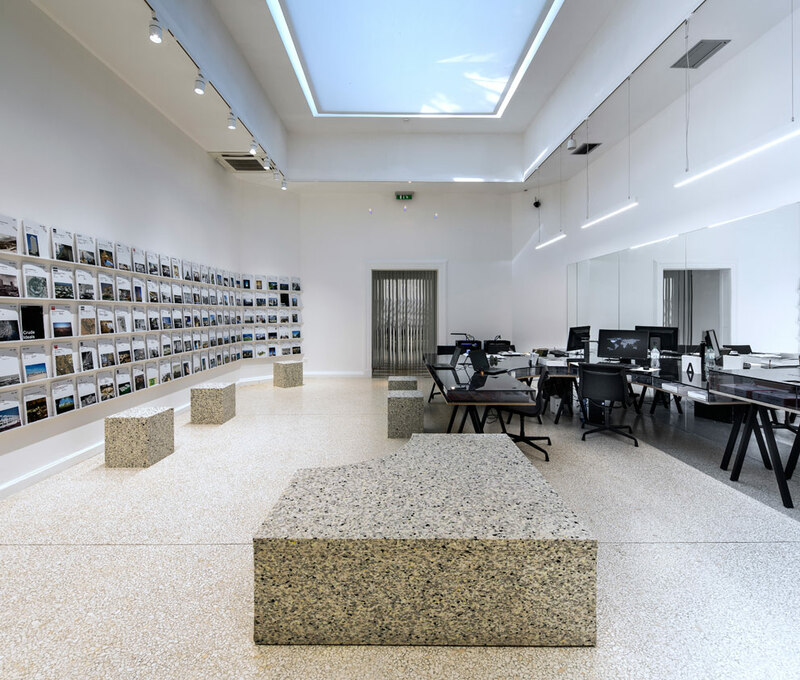 Together with the curators, New York architects Dominic and Chris Leong have developed a kind of prototype office that is also destined to reference both the history and future of the architectural profession. Stephanie Hillegas, who ran the project on behalf of Arup Engineers, chose Reggiani luminaires for the pavilion lighting. The daylight that enters through the skylights is supplemented by LED luminaires delivering 4,000 Kelvin. 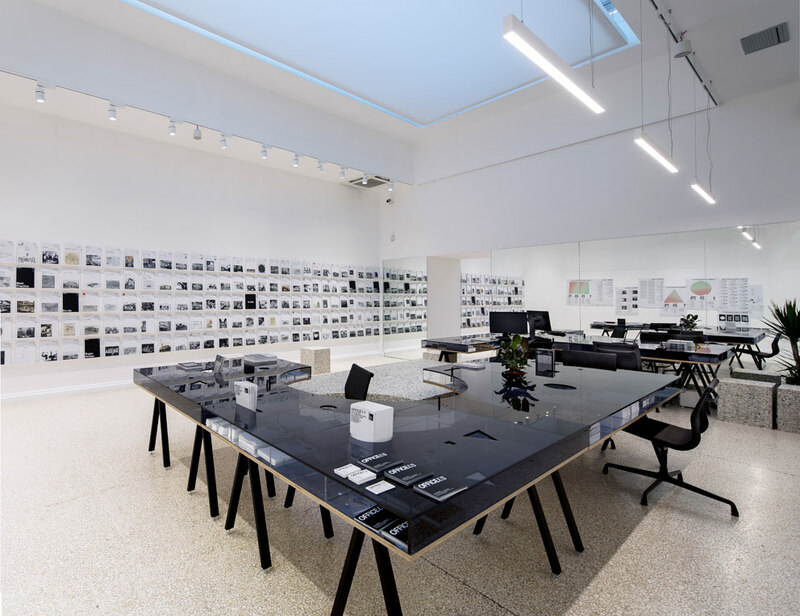 The folders documenting the projects realized worldwide lie on an open, right-round shelf, where visitors and researchers alike can consult them – superbly staged by Reggiani’s elegant “Yori” spotlights. 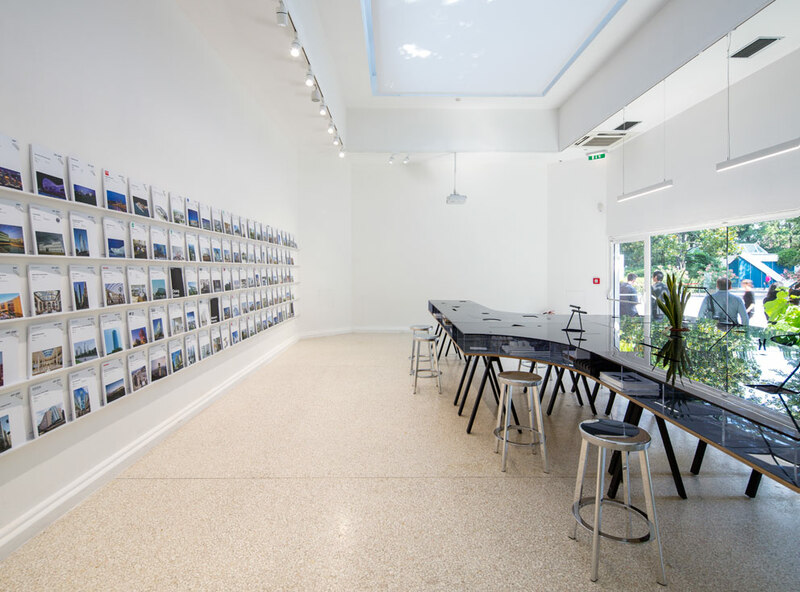 The tables in the pavilion rooms serve work purposes, but with their transparent surfaces, also function as display vitrines. This working area, illuminated by slender, rectangular “LineaLuce” luminaires, represents modern office concepts and features effective and energy-saving lighting. The softly diffused light sets the research and work area off from the exhibition zone and is typical of contemporary architecture offices with their omnipresent computers. 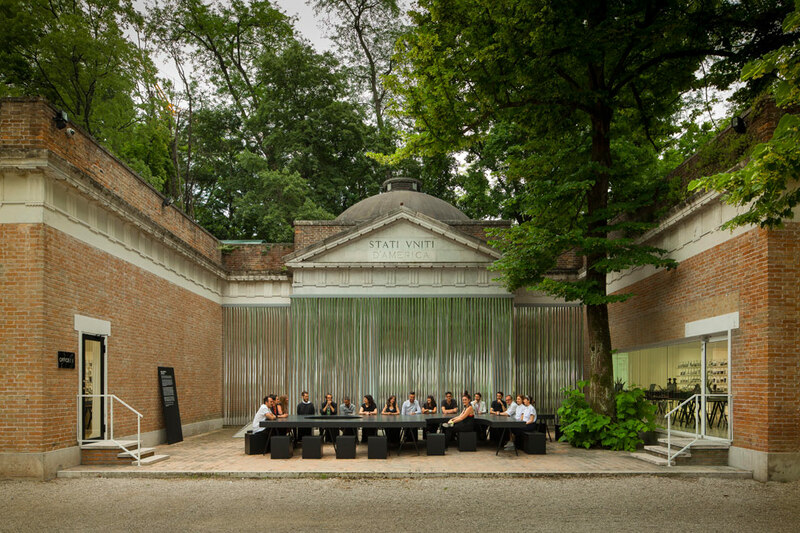 The American pavilion in Venice: The curtain made of blinds is intended to bring a typical open-plan office to mind.